How do churches, associations and unions relate? Since the Baptist Union of Southern Africa’s 2013 Assembly I’ve been giving some thought to the inter-relation of churches, associations and unions; and how to transfer that thinking to my congregation. This is where I’m at so far and I’d love to hear where you’re at. A Baptist church is a gathered community of Protestant believers which accepts the supreme and final authority of Holy Scripture in all matters of faith and practice. Baptist churches observes two ordinances, that of Believers’ Baptism by Immersion and the Lord’s Supper. Baptist churches ascribe to the principles detailed above, although the implementation of them may differ from church to church. 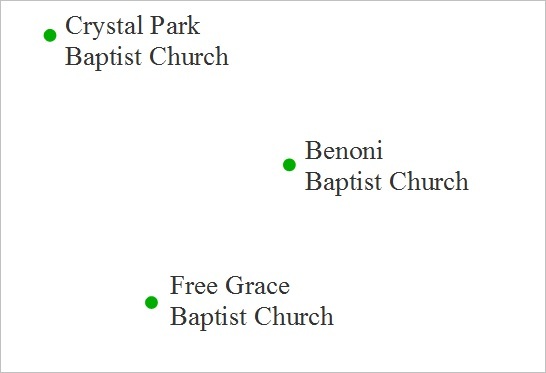 A Baptist association is made up of a number of autonomous local churches. All local churches in an association would prescribe to Christian tenants of belief and Baptist distinctives. Local churches would hold voluntarily membership with an association. 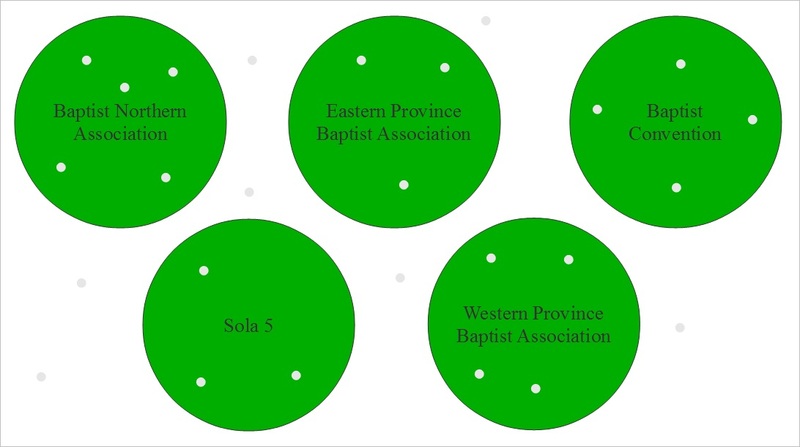 The Baptist Union of Southern Africa has 7 geographic associations affiliated to it. But not every Baptist association is a member of the Baptist Union of Southern Africa; for example Sola 5 and Isaiah 58 which are theological associations are unaffiliated to other bodies. The Baptist Union of Southern Africa was founded in 1877 by four English-speaking churches and one German-speaking church in the Eastern Cape. Today it comprises of many hundreds of churches spread throughout Southern Africa. It is a voluntary organisation comprised of a number of associations which prescribe to Christian tenants of belief and Baptist distinctives. So here I want to detail what the specified functions of associations and unions are and then briefly layout what each group ought to do. The associations are to 1.) promote and provide opportunities for Christian fellowship and unity among the churches, the pastors and all the Baptists in the area; 2.) provide the opportunity and possibility for the churches, pastors and people to perform together ministries and services which they would not easily be able to do alone; 3.) to seek to provide resources to assist the churches, the pastors and the members to serve the Lord more effectively; 4.) to provide care, guidance, challenge and vision to the churches, pastors and members; 5.) to seek to establish, assist and nurture Baptist churches and fellowships in the area; 6.) 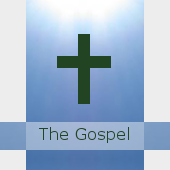 to encourage evangelistic outreach and missionary activity among churches, fellowships and individual Baptists; 7.) to assume such functions and responsibilities on behalf of the union as may be mutually agreed upon; 8.) to disseminate Baptist Principles and to advocate religious liberty for all. I’d sum the above up by saying that the associations are to provide facilitation between churches. The union is to 1.) collect information respecting the history, organisation and work of Member Churches and Associations; 2.) co-ordinate and combine the efforts of Member Churches in all matters affecting the general welfare of the Union, and its Members; 3.) engage in medical, educational, relief and other benevolent work and to confer and co-operate as occasion may require with Member Churches and other christian communities and philanthropic societies; 4.) make provision for retiring and relief allowances for its staff, Ministers, Missionaries and their wives or widows; 5.) provide for theological education and for training for service in the churches; 6.) control admission to and deletion from the Union’s lists of accredited ministers; 7.) provide for the supply of church and mission requisites; 8.) give services of advice or arbitration in cases of difference or dispute, with the consent of the parties concerned; 9.) receive, purchase, hold, hypothecate, sell, donate, lease, exchange and partition movable and immovable property; 10.) 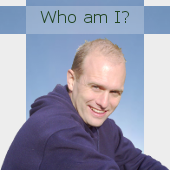 act as Trustee for any Church or Association whether established or to be established; 11.) invest funds of the Union in such manner as may be prescribed by By-Law; 12.) To confer and co-operate as occasion may require with Member Churches and Ministers in connection with ministerial settlement and the like; 13.) tender advice to Member Churches and Ministers on all matters appertaining to ministerial settlements and the like; 14.) borrow money with or without security for the purposes of the Union, and Associations, in such manner at such times and on such conditions as the Executive may determine; 15.) appoint and dismiss staff; 16.) make or amend such By-Laws as it may deem necessary for the proper administration of its business. I’d sum the above up by saying that the union is to provide administration services to churches. This entry was posted in Baptist and tagged association, Baptist, Baptist Northern Association, Baptist Union of Southern Africa, church, Union. Bookmark the permalink. Mark, your thoughts on the Baptist Union are clear and helpful. Question: Does Acts 15 apply to the function of the Union at present?